The ultimate cigar tool! 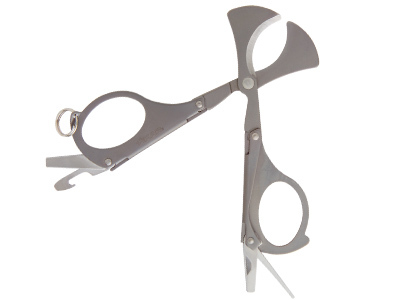 This lightweight, compact foldng cigar scissor also includes a cigar poker, cigar box opener, screwdriver and bottle opener. 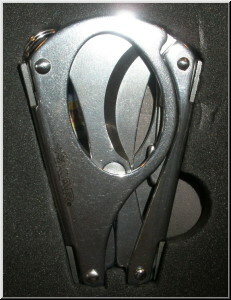 Cigar scissor can cut up to a 54 ring-gauge cigar. Handy for all occasions. Comes with key ring attachment for easy access. Total thickness: .2 inch. Total weight: 1 oz.